Increasingly, marine pollution and its effects on marine life, ecosystems and on human health has been attracting attention. In particular, the issue of ocean plastics has been in the public eye in the last year or so. There are reports of enormous quantities of microplastics in the seafood we consume, as well as a host of other products. Isabella Marinho and Camilla Ter Haar provide an overview of the ‘plastic age’, describing both the range of harmful effects as well as possible solutions. Ter Haar and colleagues recently brought together a range of stakeholders to discuss solutions to ocean plastics at The Klosters Forum in Switzerland. Sarah Nelms and coauthors write about the perils of plastics for sea turtles, including ingestion, entanglement and habitat degradation. 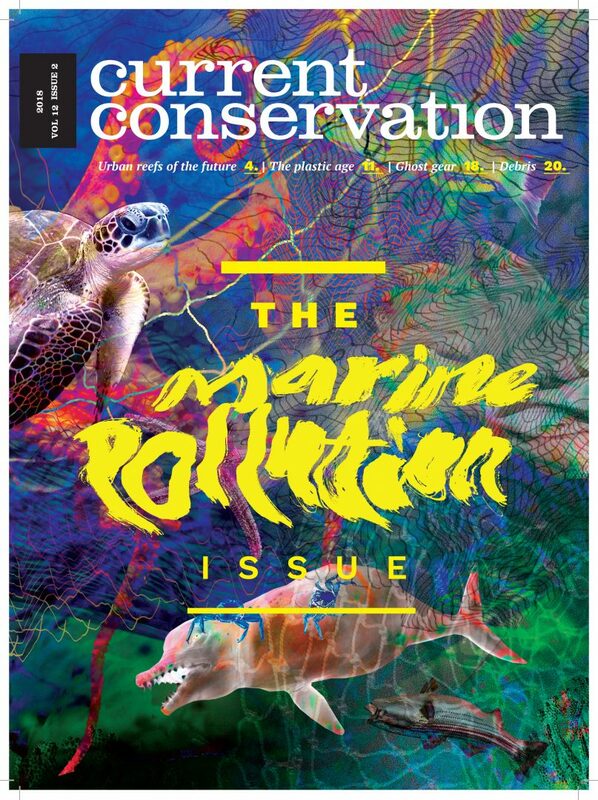 Further along in the issue, Martin Stelfox focuses on the impacts of ghost gear on sea turtles and the role the Olive Ridley Project is playing in addressing this in the Indian Ocean. But pollution is about more than just plastics. Archana Anand talks about how Hong Kong’s coral reefs give us a glimpse of the future, surviving in one of the most polluted parts of the planet. Krithika Dinesh and her coauthors write about the governance of pollution on the Gujarat coast, and how policy often ends up merely transferring the impact from one place to another. And finally, Rohan Arthur writes with languid strokes and warm nostalgia about the utter ugliness of debris, and our complicated, conflicted relationship with it.